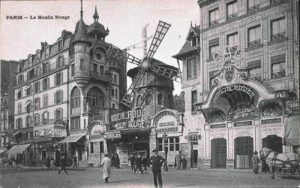 The Moulin Rouge has been opening up its doors and welcoming patrons for a night of entertainment, dancing, and magnificent performances for over a century now. The establishment is famous for being the birth place of the can-can dance, which was first introduced by courtesans who used the Moulin Rouge as a base to operate within. Despite its age, this performance venue has not slowed down over the years. 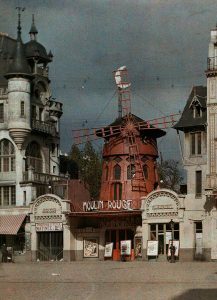 Even today, the Moulin Rouge is a very famous and exciting tourist attraction in Paris. Visitors can either come just to snap pictures of the iconic red windmill or if they are up to it, they can splurge on watching a live cabaret performance complete with dinner and champagne! This iconic Parisian landmark was first founded in 1889 by Charles Zidler and Joseph Oller, two highly astute business men who understood the unique public tastes of the era. Paris was in the middle of undergoing a cultural revolution. There was a spirit of peace and cultural exuberance in Paris. 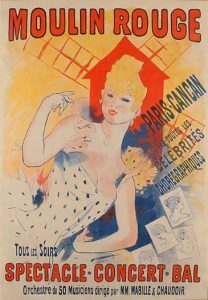 This spirit is best highlighted by the two world exhibitions that occurred around the same time as the Moulin Rouge’s opening. It is for this reason that many of Paris’s wealthy elite desired a taste of the bohemian and exotic. The Moulin Rouge offered this authentic experience to clients and allowed people from all different social circles and classes to co-mingle, drink and be entertained! Féerie is the name of the Moulin Rouge’s world famous cabaret performance. Visitors can rest easy knowing that no matter where you end up sitting, you will be sure to have a wonderful view! Cabaret performances at the Moulin Rouge last approximately 1 hour and 45 minutes. This show will not leave you wanting for more. With 80 performers and artists recruited from all over the world, 1000 different costumes made in the most acclaimed of Parisian workshops, this is a performance that will no doubt impress. The sets are made of vibrant colours and were designed by world famous Italian artists. All of this is performed to original music recorded by a chorus of 80 musicians and 60 singers! This all culminates in a world class spectacle that is absolutely not to be missed! For More Information about the show and what you’ll see… check out the Moulin Rouge’s Official website here! One of the first things that anyone looking to watch a cabaret performance at The Moulin Rouge is going to want to know is how much it costs! Don’t worry… we here at ParisByM have done all of the work for you and compiled a list of all important information. 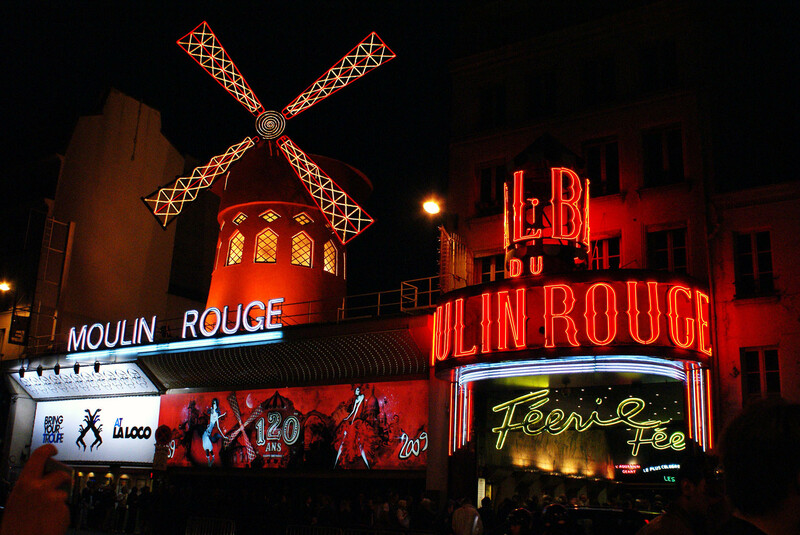 Visitors to the Moulin Rouge may decide between just the show… or dinner and a show! We personally recommend the latter for an experience that is truly unforgettable, however, for those traveling on a tighter budget the former will also not leave you feeling disappointed. There are two shows every night of the week…One at 9:00 pm and one at 11:00 pm. If you are looking to dine as well, you will have to arrive at 7 to eat before the 9:00 pm showing. Ticket Prices Are As Follows ….